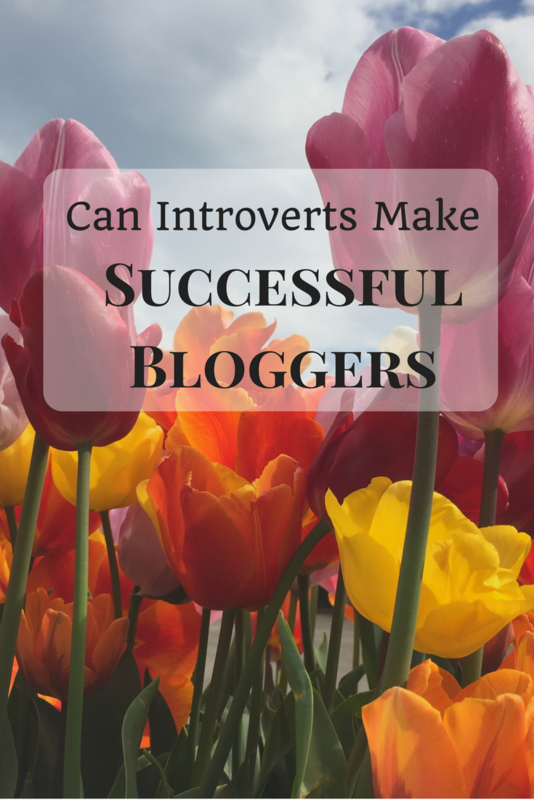 Rambling Through Parenthood : Can Introverts Make Successful Bloggers? Can Introverts Make Successful Bloggers? When I started blogging, it was more as a creative outlet for my thoughts. Blogging gave me something to do to preserve my sanity and sense of self after I had made the decision to be a stay-at-home mother to my baby son. It was also something akin to the culmination of a life-long dream of becoming a writer. Writer, blogger, it was two threes and sixes as far as I was concerned. I could not have been more mistaken. All bloggers are writers, but not all writers can be bloggers. Writers have the freedom to create at will, to conjure up imaginary worlds with words. Bloggers, especially parent bloggers, are expected to lay bare their souls with intimate details and minutiae of their everyday lives. Bloggers are supposed to be masters of social media, at ease engaging with complete strangers on a plethora of social platforms, building strong and lasting relationships in the virtual world. They have to be tech-savvy, photography ninjas and PR/marketing gurus all rolled into one. How on earth does an introvert like me ever get to become this mystifying, multi-talented creature that is a successful blogger? An introvert who is reluctant to share her thoughts and fears with her near and dear ones, let alone the World Wide Web. Who is wary of new friendships and is happiest in her own company. Not that I dislike social situations, but I am most comfortable left to my own devices. The more I dwell on it, the more stymied I become. In an era of fake news and information overload, merely creating good content does not seem to hack it. Even my closest friends and nearly all my family would prefer to read, believe in and share a random forwarded message than engage with a blog-post that has taken me half a day to create. It seems I need eye-catching, sensational headlines to grab attention, and content to match! But what I perceive to be a good piece of writing may actually come across as insipid to an indifferent observer. I am being honest here. I know I have mountains to climb before my writing makes people stand up and take notice. In light of my mediocre writing, refusal to share intimate details of my life on the blog and indifference from near and dear ones, I have only one other option left to make it big as a blogger. The path to blogging success seems to lie in self-promotion and finding your blogging tribe – a group of like-minded bloggers who will watch your back as you swim against the tide in the blogosphere. Both entirely uncomfortable prospects for an introvert who detests spam and artificially swollen social feeds, can only blow her own trumpet for so long, and who generally prefers flying solo because she has commitment issues. I have experienced the general bonhomie in the parent blogging universe and have heard fellow bloggers swear of enduring friendships, but that everlasting camaraderie still eludes me. What next then, for an introverted blogger seeking blogging success? I guess it’s back to blogging basics for now, back to the blog-share-numbers game. I do not abandon hope that one day soon the secret to blogging success will be revealed to me in a moment of solitude and it will have something to do with skilled writing. Me too! But then I find it easier to share all the very raw details on my blog. This helps me with my mental health as its better rattling around on the internet and not in my head! I'm just writing for this purpose at the moment but who knows what the future brings? Glad I cam across your post. I have observed the blogging world changing to an even more extrovert-focused place over the last few years, and I imagine this is even more of a fraught issue for parenting blogs. As an adult writing about finance, I make choices about how much I want to share of my personal life and finances (of course, checking with my partner first, and he does the same with regard to his own writing). But in so many parenting blogs, I see beautifully posed photos of kids promoting this affiliate brand or another and wonder, do they get sick of it? How will they feel when they get older? As Raw Mum says, sometimes writing about stuff can be cathartic, but there's a distinction, I feel, between writing stuff that helps me work through issues or problems, and might help others similarly placed, versus the hard-core social media engagement and monetization which seems part and parcel of modern blogs. I am also uncomfortable with heavily editing a well-thought-out post for SEO purposes or transforming what I think is a witty or engaging heading into 'clickbait'. It feels cheap for a reason. Pinterest, while wonderful for finding certain things, has also made us focus much more on the visual, which is great for some topics (like cake decorating!) and terrible for others (images of frugality or numbers are rarely popular, so people go for images that don't represent reality at all). Professionally styled photos of the blogger seem to be as (more?!) important as the ability to write something insightful. This isn't the internet I signed up for! Thanks for the space to rant about this! I really enjoyed your take, and live in faith that while we may not 'enjoy' the artificially inflated hits of those with spammy social media content, the likeminded people we come across from time to time and have REAL conversations with, no matter how fleeting, are worthwhile. More about immediate Family and friends reluctant to read first account writing. I think it has something to do with personal narration. people are only comfortable seeing each other through the lens of family/ friends constructs and so this balking when it comes to reading raw details --anyway it's good to keep writing and sharing as you said for one owns peace of mind. Re. Wanting to achieve success, that's what gives me anxiety attacks, so stopped thinking of it. In time I realised I still may want to write even as an unsuccessful writer, if at all. The writImg from you here is beautiful and honest and invites one in your thoughts. You're already on your path.